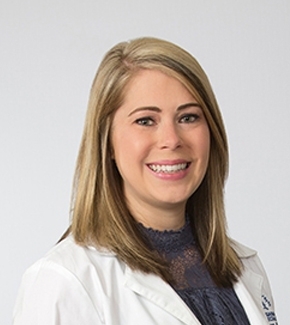 Born and raised in Alexandria, Erica has spent all her life in the area and is currently practicing medicine as a Nurse Practitioner. She enjoys being able to meet with the people of the area to speak about their medical needs. Being able to connect with patients on a different level is what makes her job a rewarding one. She provides quality care to each and every patient that she meets in the office. With a smile on her face, she believes that nurses provide the care that the patient is looking for but the understanding that allows them to trust in their judgements. In her spare time, Erica enjoys art. She enjoys learning new things in the surgical field, meeting new people and being able to provide the care required. With such an interesting field to be in, she makes the most of her days in the office, hospital and surgical room. If she was not providing care on the surgical floor, she’d have a focus on family care. With a strong interest in the surgical field, Erica decided to pursue a career in it. She enjoys learning new things, the way the body works and ways to provide relief to many patients. With a strong background in nursing, she is able to provide the care needed to each and every patient seen. Erica Bordelon, N.P. is associated with Christus St. Frances Cabrini Hospital, Christus Cabrini Surgery Center and Christus Dubuis Hospital.